"All these elements available and you choose to be salty!" 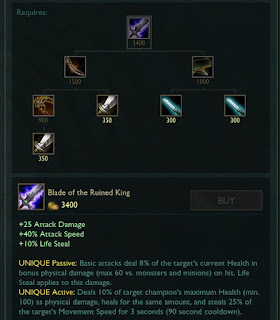 - The PBE has been updated! To kick off the 6.23 PBE cycle, today's update includes the new ultimate (3250 RP) tier Elementalist Lux skin, a new Elementalist Ward, new summoner icons, and more! Elementalist Lux, our next ultimate tier (3250 RP) skin, is now on the PBE for testing! 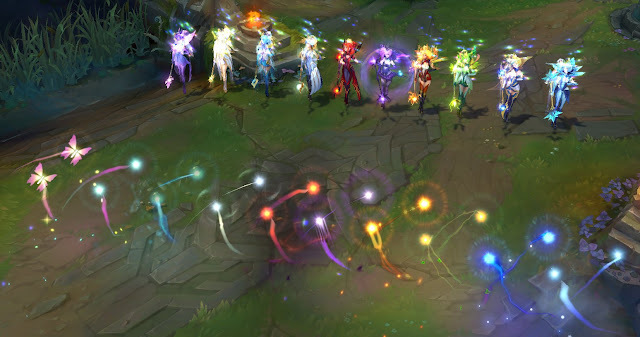 Elementalist Lux uses a new mechanic called Elemental Power to choose different elemental forms to transform into during a game - 10 forms total with up to two transformations during each game! Unlike DJ Sona and Spirit Guard Udyr, when using Elementalist Lux, you cannot freely swap between all forms in a single game. You have to make a choice. Transformations are not reversible in a single game - so your first few games will be a journey of discovery! 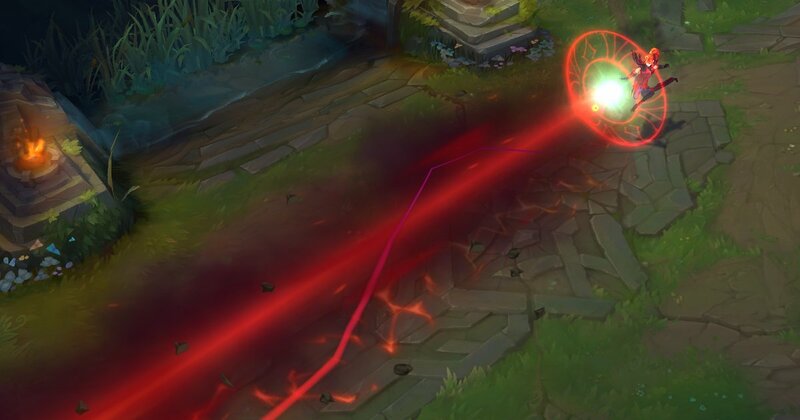 Elementalist Lux gains elemental power by damaging enemy champions. Upon gaining enough power, Lux is then able to master a new element, and add it to her current form. Every game, you’ll begin in Light form, and make choices throughout the game that will determine which form to master next. A menu on the HUD (above your champion portrait) will display, letting you know you've gained enough power, which means you can begin your transformations! Here’s a quick rundown of what this new ultimate skin has to offer! 10 different elemental forms, each unlocked by mastering a series of elements throughout the game. New model and textures for 10 different forms. New particle effects for each form, each themed for the form she’s in. New sound effects for each form, matching the current form she’s in. Completely new animation set, including different recalls and emotes. New VO; completely new lines, fitting for each form. 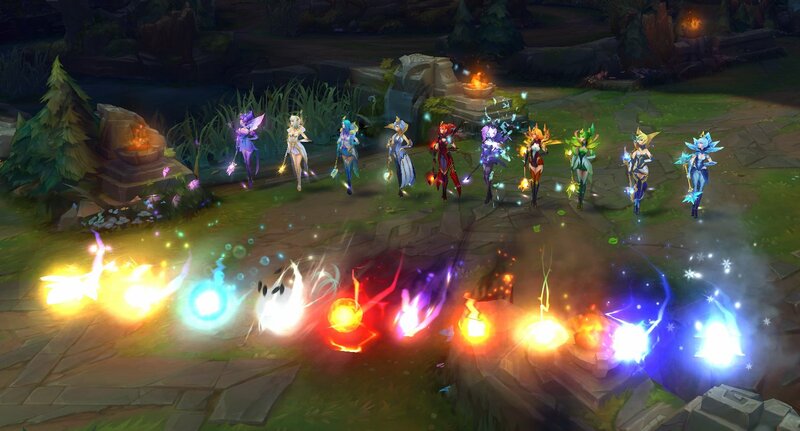 In addition to Elementalist Lux, corresponding icons for each form and a similarly themed ward skin will be available via several options. 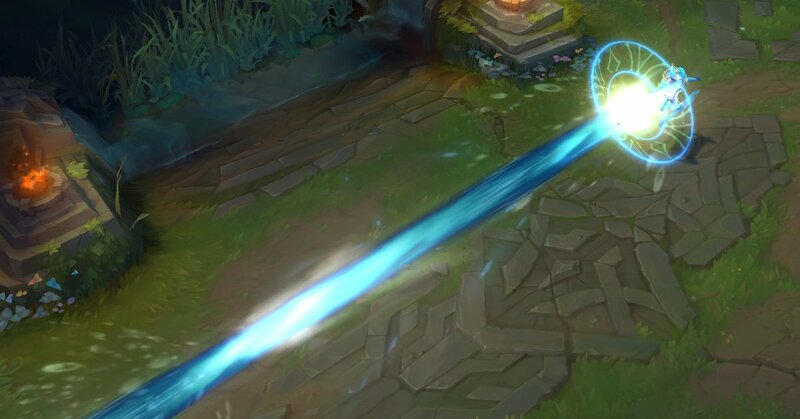 We’ll drop more details about this later, but in the meantime, please feel free to focus your testing and feedback efforts on Elementalist Lux herself! Note: All content will be available in the store for testing purposes. We kindly ask that you condense all feedback and bugs into this thread so that we can have on consolidated place to check for issues, rather than making several different threads on the PBE boards! If you already owned Elementalist Lux before the additional content was implemented on the PBE, and you'd like to unlock them to test, you will need to refund Elementalist Lux using a refund token, and re-buy her. If you’re out of refund tokens, and are still interested in testing out this content, let me know and we can make it happen!" Full in-game preview video of Elementalist Lux, including a look at each of the ten forms. Here is the Elementalist Lux's voiceover - which includes different voices and sounds appropriate for the various forms. VonderHamz noted the total number of lines is 756. 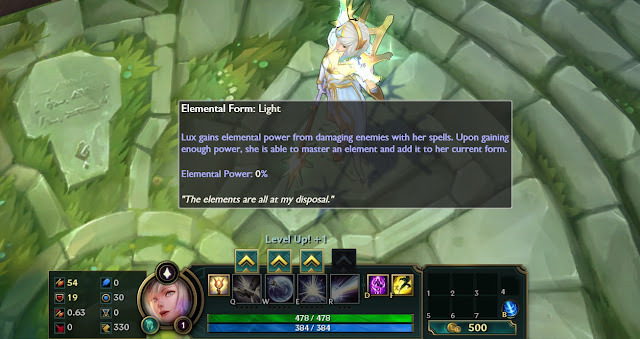 Elementalist Lux transforms through a new elemental power system - she can transform twice per game. You gain this elemental power based on hitting an offensive spell on an enemy champion (Q,E,R) - Everyone starts the game as Light form, then after gaining enough elemental power you choose your first element and she transforms - Air, Nature, Fire, and Water. You may also choose to not switch forms. Filling up elemental power again lets you choose your second element, which mixes with the first to make a new element - Ice, Magma, Mystic, Storm, or Dark. You may also choose to not switch forms. You can not pick the same element a second time. When you hover over the new UI element, you get a little tooltip explaining how it works and your % of EP. Each form has it's own model & texture, VFX, SFX, vo lines, transformations, recalls, and more! 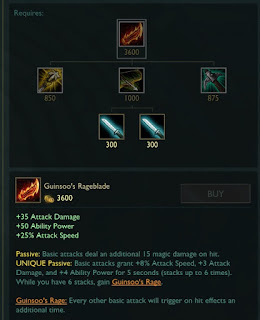 In addition to Elementalist Lux, we also have a fancy new Elementalist Ward! This ward skin changes it's own form based on what form Elementalist Lux is in when she puts it down! "While mastering several new forms, she’s still lighting the way! New particles - these will change, depending on the element you’re currently in. Only wards that you yourself place as Elementalist Lux will be impacted by your form. Otherwise, the ward will simply use Light form. Pricing information and availability will be available at a later date. Pricing in the store is used for testing purposes only. As always, please feel free to leave feedback and comments below. We’ll do our best to answer your questions and address feedback and concerns you may have about the ward skin!" A total of ELEVEN new Elementalist Lux themed summoner icons have also been added. No details on availability yet. 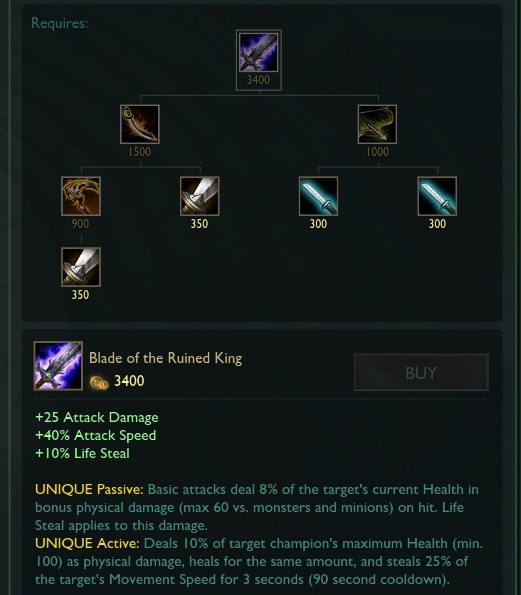 One for All is back up on the PBE for more RGMQ testing - the focus this time is checking Ivern and the recent assassin updates in the game mode. More information here. Flash Frost (Q) - now only slows those stunned by Flash Frost instead of those damage by Flash Frost. Glacial Storm (R) - now ramps up to full size in half the time, damage and such adjusted accordingly. Time to fully form lowered to 1.5 seconds from 3 seconds. 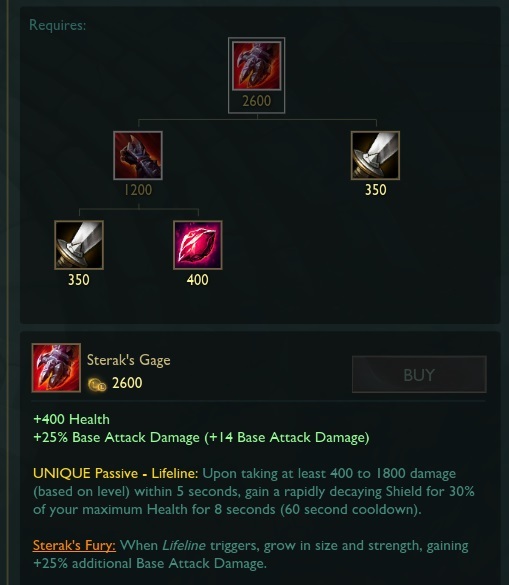 The fully formed storm now deals 300% damage and slow by 30/45/60%" instead of "Damages,Slows, and Chills by an additional 50% at full size"
Judgment (E) - [new effect] "Enemy champions hit by Judgement have their armor reduced by 3/4/5/6/7% for 4 seconds, stacking up to 5 times." Now works on a recharge system instead of just a 20-16 second cooldown. [new]20/19/18/17/16 recharge time & max of two stacks. [old] "first time a voidling attacks a champion or monster, or assists in a killing a unit, Malzahar spawns a new Voidling with the same remaining duration." & "will not spawn from a voidling with less than 4 seconds left"
[new] "If a Voidling has more than 9 seconds remaining, its first attack against a champion or monster will spawn a new Voidling with the same remaining duration,"
Voidlings now have 3 "HP" - similar to wards. Voidling Physical Damage changed to base + bAD from % of total AD. 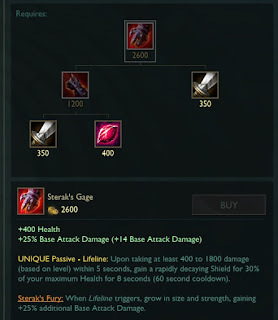 [added] "Voidlings will despawn faster when far away from Malzahar"
[added] "Deals 200% damage to lane minions effected by Malefic Visions (E) "
[added] "If target is afflicted by Nether Grasp (R) or Malefic Visions (E) and Malzahar is near by, has 100% increased attack speed. [removed] "Prefers to attack targets with Nether Grasp (R) or Malefic Visions (E)"
[removed] "When 3 or ore voidlings are active, they all gain 50% attack speed"
[removed] "Deals 300% damage to lane minions below 20% health"